After reading this 21 facts you will optimize your website for tablet and mobile because data and analytics are very accurate with the current changing trends. Trends are rapidly changing for internet browsing first we discovered How in future mobile devices will replace desktop users and now it is time for tablets. You can not ignore tablets as nowadays they are also a great source of traffic that is why many popular brands have optimized their website for tablets and mobile as well. Below are various facts and figures about tablet that we will discuss and after that in the end you will force yourself to optimize your website for mobile devices and tablet devices. 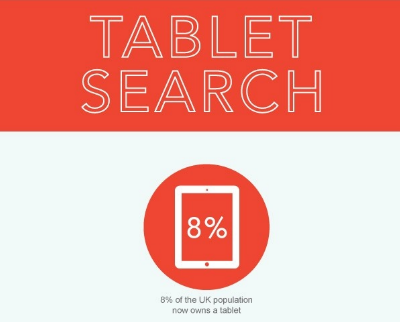 Everyone knows what is the population of the united kingdom and if 8% of their population are now using tablet for internet browsing than it is mandatory for webmasters to optimize their website for tablets and many devices have already done that like social media websites and online shopping websites. Yes it is true larger number of people use tablets for online shopping than the laptops and desktop. When shopping, 46% of tablet users prefer to use tablets, 41% prefer to use a laptop. Visitors spend over 50% more per purchase than Smartphone visitors, and 20% more than visitors using desktop and pass. So the picture is very clear that small devices are more engaging users for online shopping that is why there is a need to optimize a website for mobile devices and tablets. The conversion rate for tablets are 120% higher than those for PCs. CPC rates are 30% less than desktops or laptops. Target your search for high spending tablet visitors accessing the web during the evening using the search targeting capabilities of Adwords and through creating a tablet user oriented landing pages. 92% of tablet internet access happens on wifi networks, this means landing pages can include richer content and more imagery at the site load time is not reliant on 3g. This is the reason why you should optimize your website landing page for small devices like mobile and tablets. Webmaster should use day part campaign to target tablet users. It is a time when consumers are using tablets. 38% people use tablets in a day. 68% people use tablets at night. Review google analytics for tablet traffic patterns, and allocate bids and budgets based on peak times. Create a mobile app for your website. 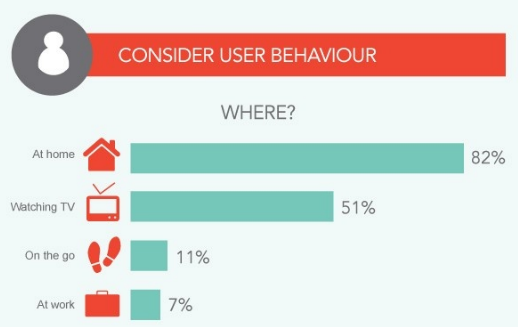 Know what users like a mobile website or mobile app. Peak times of desktop, mobiles and tablet users. It is a time when you will see the people more active with such devices like in the morning and in afternoon people use desktops for their personal and professional use. And in the evening they use mobile phones and at night they are using tablets. The peak time of desktop users starts from 8.00 AM to 5.00PM. The peak time of mobile users starts from 6.00PM to 9.00PM. The peak time of tablets users starts from 9.00 PM. 82% people use tablets at home. 51% people use tablets while watching TV. 11% people use tablets on the go. 7% people use tablets at work. So from the facts you can better target your tablet users like at what time you have to send them emails and offers and publishing your content on social media platforms. Timing is very important. If you see the peak times of tablet users which is after 9.00 PM and see user behavior. Notice that 82% people use tablets at home so that should be after 9.00 PM because in the morning, afternoon and evening they are using desktops and mobiles and for sure there are very less people who will be using tablets before night. So conclusion from those facts says that after 9.00 PM is the best time to send them emails and your promotional offer. 4% people use tablets for less than 15 minutes. 7% people use tablets for 15 to 30 minutes. 21% people use tablets for 30 minutes to 1 hour. 38% people use tablets for 2+ hours. Want to see a new post in google search results. So after knowing these facts and figures about tablets and mobile devices I think now you are agreeing that it is mandatory to optimize websites for tablets and mobile devices which is the demand of time. Description : After reading this 21 facts you will optimize your website for tablet and mobile because data and analytics are very accurate with the current changing trends.